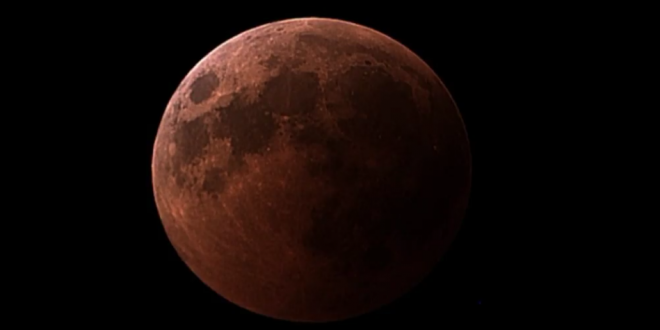 World Watches Longest Lunar Eclipse This Century - Joe.My.God. Curiosity and awe have greeted a complete lunar eclipse, the longest one of this century and visible in much of the world. The so-called “blood moon,” when it turns a deep red, was visible at different times in Australia, Africa, Asia, Europe and South America when the sun, Earth and moon lined up perfectly, casting Earth’s shadow on the moon. The total eclipse lasted 1 hour and 43 minutes, with the entire event lasting closer to four hours. In a special treat, Mars is also at its closest approach to Earth this week since 2003, making it appear bigger and brighter. The clip below is live.